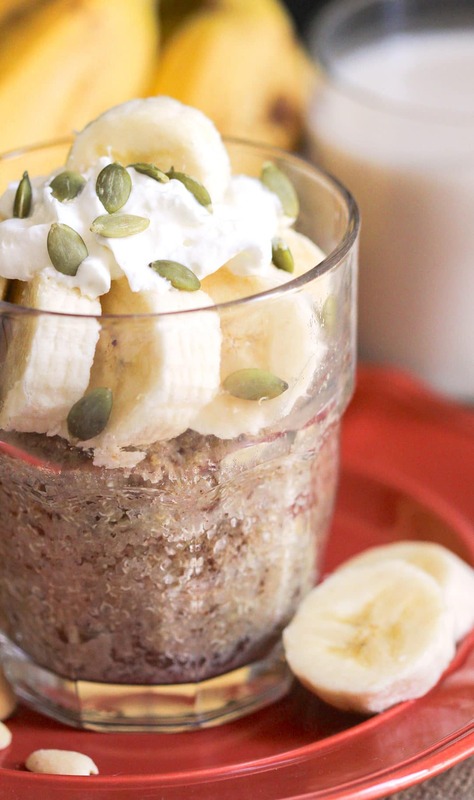 Craving Banana Bread but don’t want all the calories, fat and sugar? Or do you already know of an amazingly Healthy Banana Bread recipe but don’t have the time (or patience) to bake off an entire loaf? No worries, I got ya. 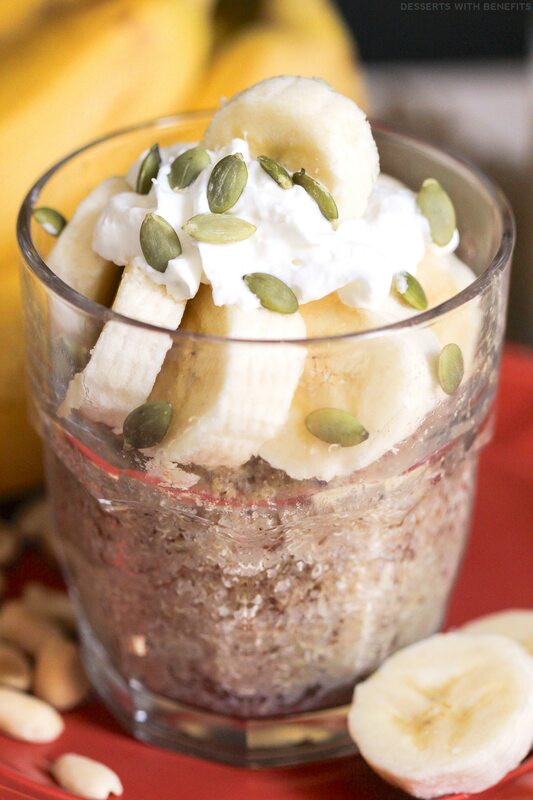 Make this super quick and easy Healthy Microwaveable Banana Quinoa Flake Muffin! It’s nice and sweet, dense and moist, secretly good for you, and packed with nutritious ingredients. 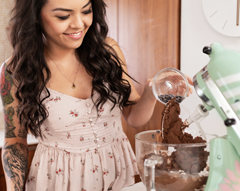 It takes just 3 minutes and 30 seconds to “bake.” Can you believe that?? You can literally have a single-serving Banana Muffin all to yourself in less than 5 minutes! You can top this muffin with whatever your heart desires. For me, on the day I shot these photos, that was all-natural whipped cream and pumpkin seeds. What about some sliced bananas or a dash of cinnamon? Absolutely. How about a big sprinkle of chocolate chips? Oh, inner conscience, can I marry you? 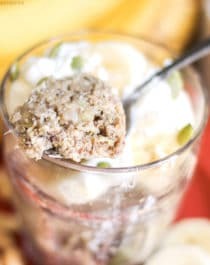 Craving Banana Bread but don't want all the calories, fat, and sugar? 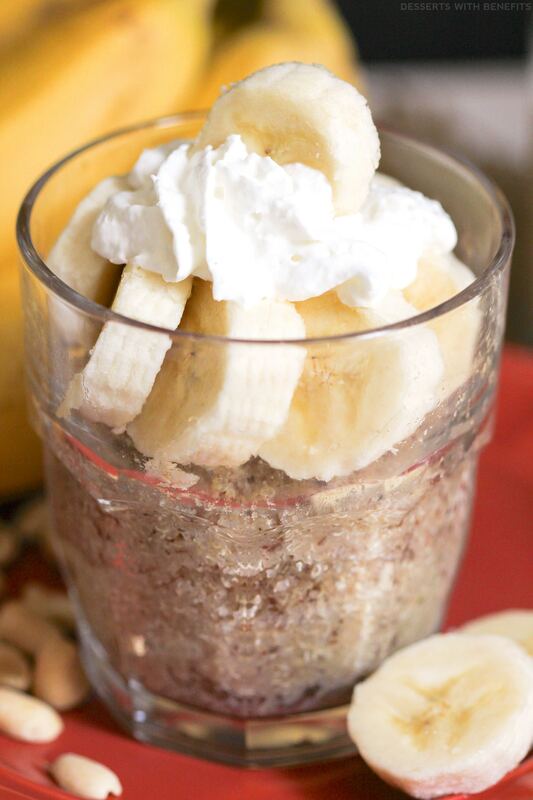 Make this super quick and easy single-serving Banana Quinoa Flake Muffin! In a bowl, stir together the mashed banana, milk and vanilla. In another bowl, whisk together the quinoa flakes, flaxseed meal, cinnamon, baking powder, sweetener and salt. Dump the dry ingredients into the wet ingredients and stir together until fully incorporated. Spray a mug with cooking spray and scoop in the batter. Microwave for 3 minutes and 30 seconds, or until the surface of the muffins spring back when tapped. Let cool slightly, then enjoy! Whoop whoop! 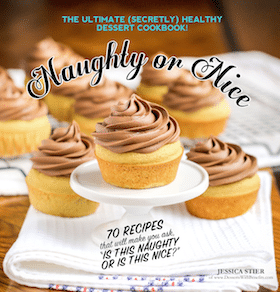 Only 210 calories and 3.5g fat for a yummy single-serving muffin. 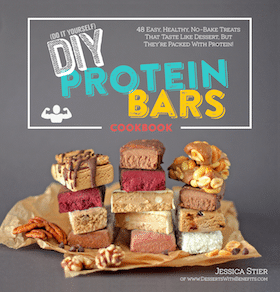 Plus, you get 6g of filling fiber and 5g of complete protein. Starting off your morning with this Healthy Microwaveable Banana Quinoa Flake Muffin will make your day as magical as can be. I have made it multiple times and am loving it!